KitKat and I have known each other for 15 years now and have become closer over the years due to some eerily similar personality traits. Really, it’s quite fascinating. To look at the two of us, you wouldn’t think we were that much alike, but our core attitudes—how we view the world—are so similar that I sometimes think we were separated at birth. 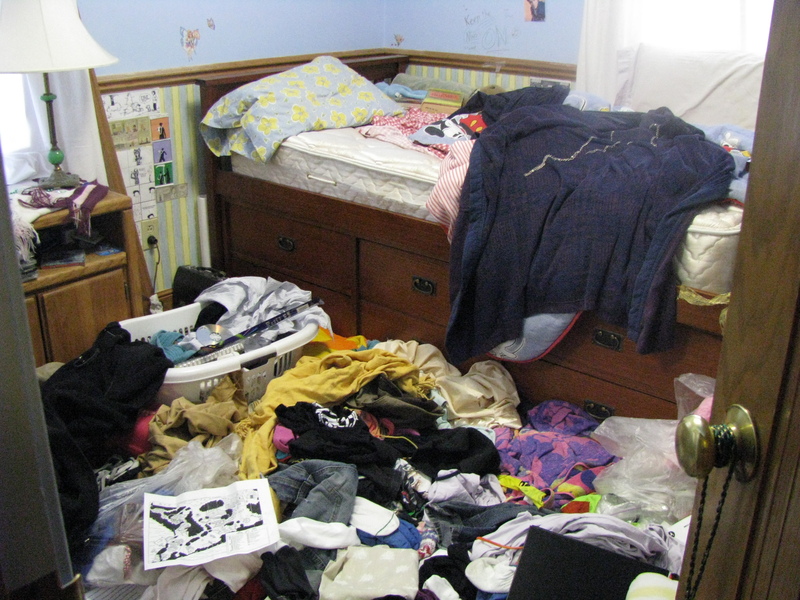 So when KitKat talks about making a mess of her life, I can admit that I’ve also got some cleaning up to do in mine. An article I read recently cited a theory about crime, the Broken Windows Theory, which I found interesting. In a nutshell, the theory is that small indicators of disorder can quickly escalate into something much more serious. That is: broken windows in an abandoned building lead to widespread vandalism which leads to squatters which leads to drug deals which lead to homicide… you get the picture. This got me thinking about the broken windows in my own life. For example, I know this theory holds true in my house. When my house is clean, I make an effort to keep it that way—I’m more likely to put things away, wipe up the crumbs on the counter, etc. But if I’m tired one evening and leave a pile of papers on the coffee table or my shoes strewn on the living room floor, look out. A few days later, the house will be one big mound of clutter. The broken window effect at work in my then-teenaged daughter’s room. I’m sure a lot of you can relate to this example, but broken windows can also be more individual. A few months ago, I was having lunch with a friend. This friend was completely buried from a work standpoint, but had made time for lunch on the condition that on the way he could drop off his car to get it cleaned/detailed. I was a bit surprised he was concerned with something as superficial as his car, given all the critical work issues he was facing. He explained that his car was a mess—overflowing with the usual kid detritus and even dirty underwear from the gym. While as a dad this was understandable, as a sales person, it was a source of stress if he was suddenly required to drive a client or prospect to dinner or the airport. This made sense, of course. The messy car was his broken window. Since learning about this theory, I’ve been looking for the broken windows in my own life and I’m chagrined to admit that I’ve neglected a few. Part of it is summer laziness. Part of it is denial about what the future holds (like KitKat, I’m also uncomfortable Living in the Maybe). 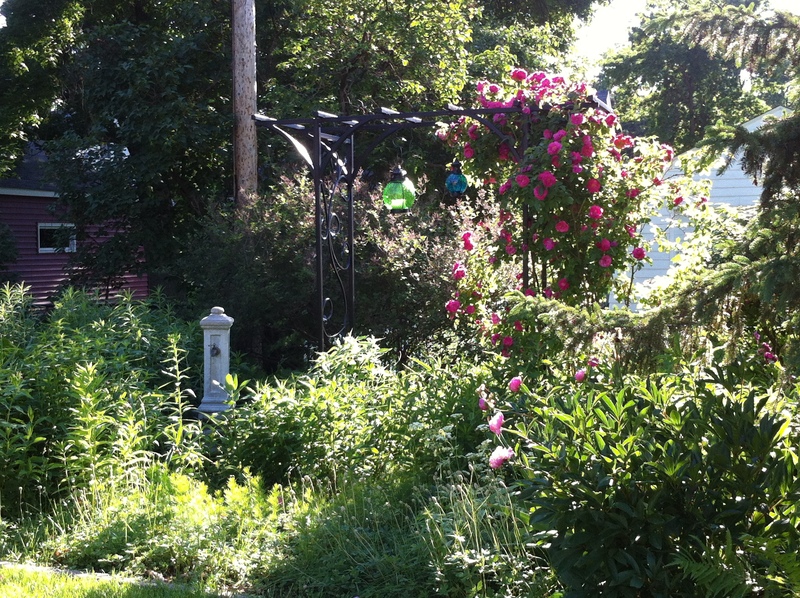 Part of it is just getting overwhelmed by the weeds… Every year, I have a beautiful, enviable garden through the month of June. Then the heat ratchets up, the mosquitoes all hatch and the weeds take over. Against this triple threat, I simply give up. 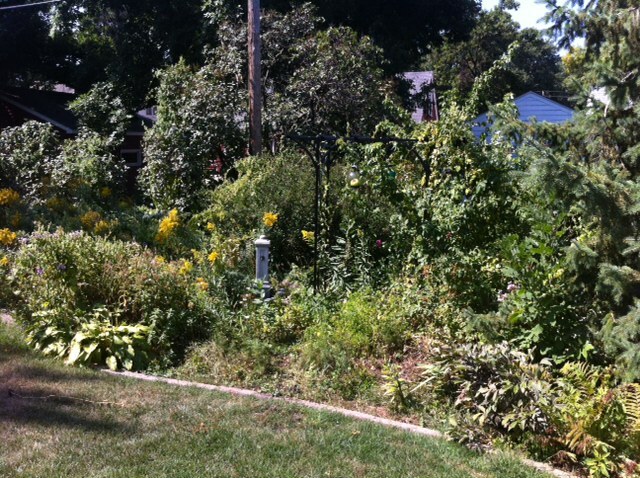 With weeds, the consequences are not that serious (heck, even ragweed adds a striking touch of yellow to my late season garden), but when I let weeds take root in my life they seem to choke out every healthy thing. So, like KitKat, I’m going to use this back-to-school time as a new start as well. I’m going to identify all the broken windows in my life and set about fixing them. It won’t happen in a day or even a week, but I’m hoping when the real new year begins (2014), I’ll feel more optimistic about the future than I do today.